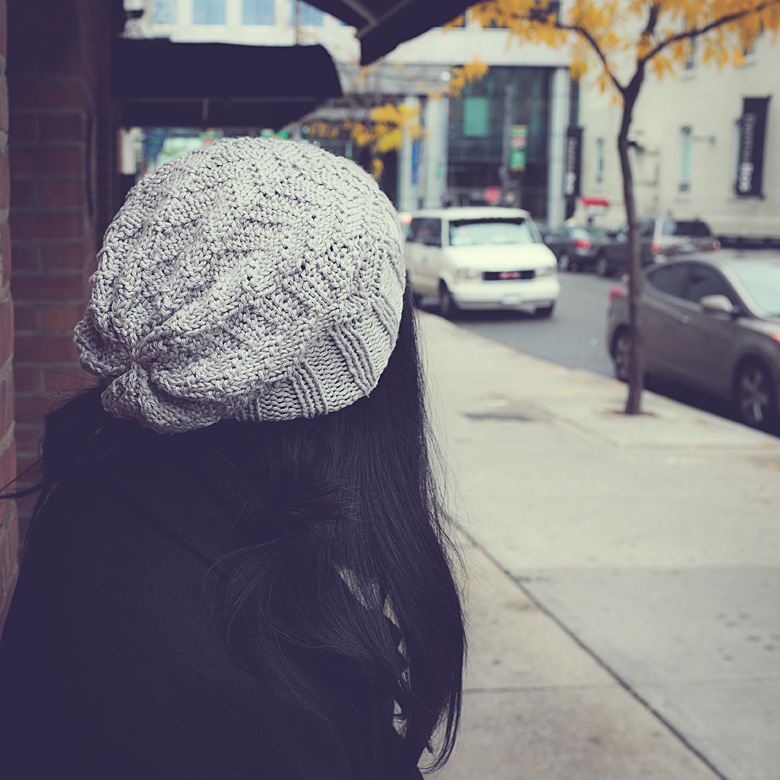 This months tutorials have been unfairly balanced so far in favour of polymer clay, so here is one for a super cute knitted slouch hat. 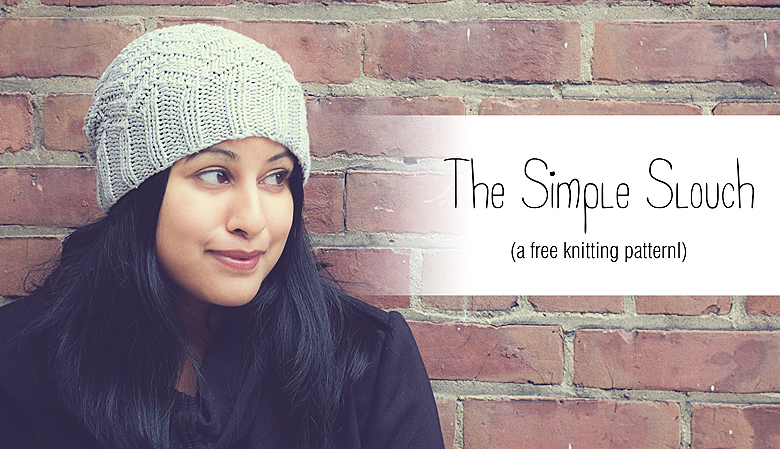 This one works up very fast, without too much shaping, and is ideal for beginner knitters. 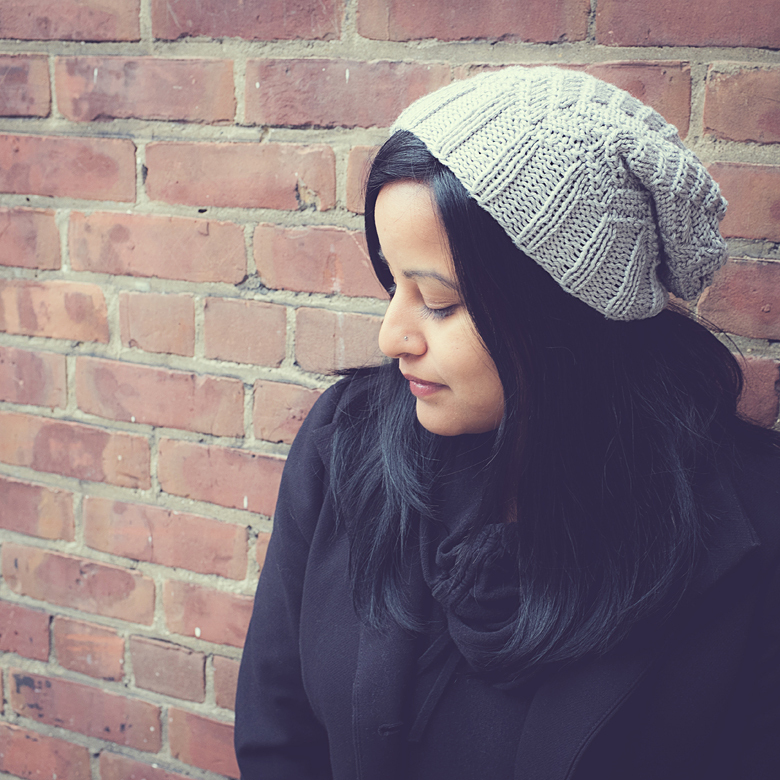 The simple knit-purl design is patterned on every row, but the results are super pretty and textured. If you cast on this week, you might just be done before Christmas! A lot of folks have asked me if it’s possible to download and print this pattern, so I’ve created a pdf file to save you on printer paper! Click here to download the pattern. 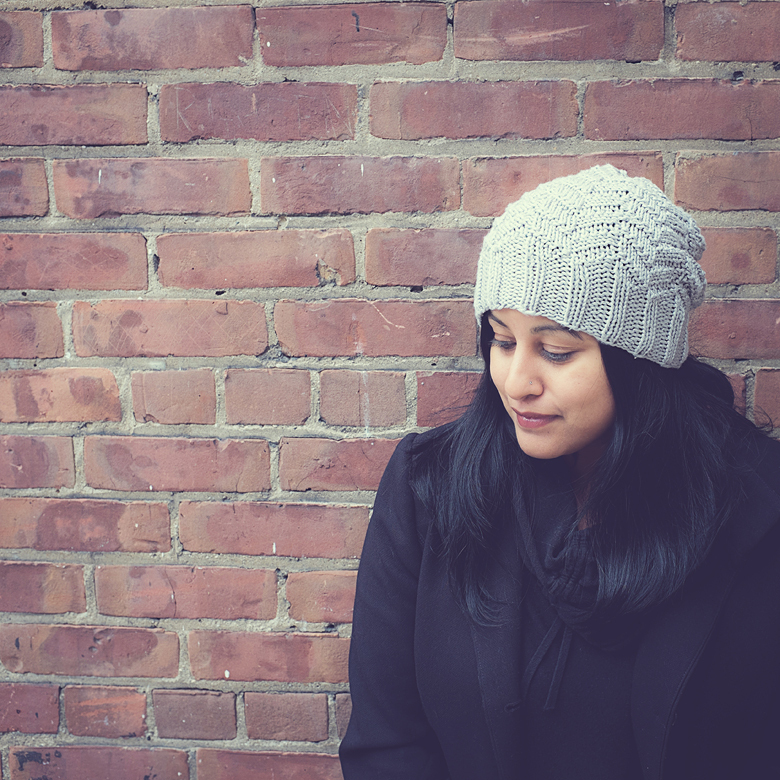 The yarn has quite a bit of drape for super slouch, and the hat is a forgiving fit. The medium sized hat should fit most adults. 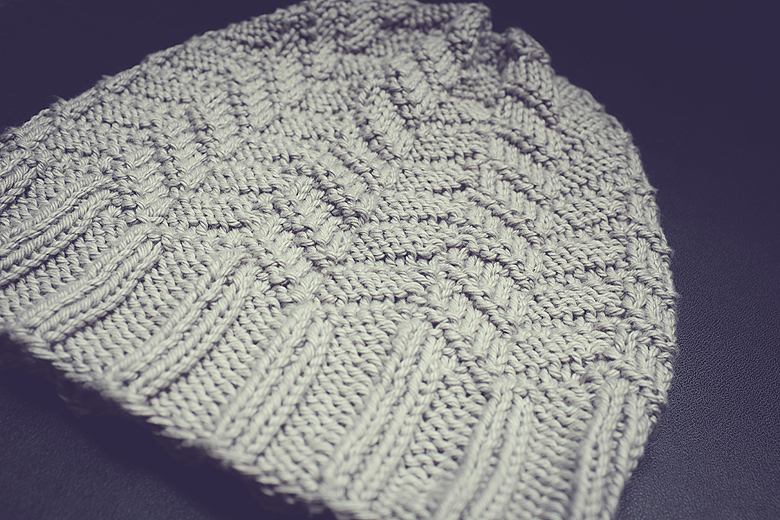 The pattern is in multiples of 10, with no edge stitches required. If you wish to increase or decrease the hat size, or adjust for a different weight of yarn, simply add or subtract 10 stitches from your cast on. Beginner knitters who are not yet used to reading their stitches may find it helpful to place a marker every 10 stitches, and use a different coloured marker to mark the end of the round. Rows 1-14: *p3, k2*, repeat to end. Working from either the body chart (above) or written directions, complete 8 full repeats of the stitch pattern. Working from either the decrease chart (above) or written directions, complete 1 full repeat of the stitch pattern. Break the yarn with at least 6 inches of tail. Thread the tapestry needle with the tail yarn and run it through your remaining stitches, cinching tightly to close your hat. Weave in your ends and gift it, or rock it yourself! Please include key to stitches: what is sk2po ??? Wanted to say thanks. Knitting this for my friends daughter without the pattern and already decided to do another one with. Also the tip of marking every 10 stitches is brilliant, it has made the rib (a pet hate of mine) a joy to do. I’ve never done lace (the word is enough to give me the he-be-g-bees), but reading this pattern I’m thinking….. I can do that! I’m on holiday in a couple of weeks so will be taking it with me. You are most welcome! I love that it finishes up quickly, so you can enjoy it while there is still lots of winter ahead of us! Wonderful pattern, love it! 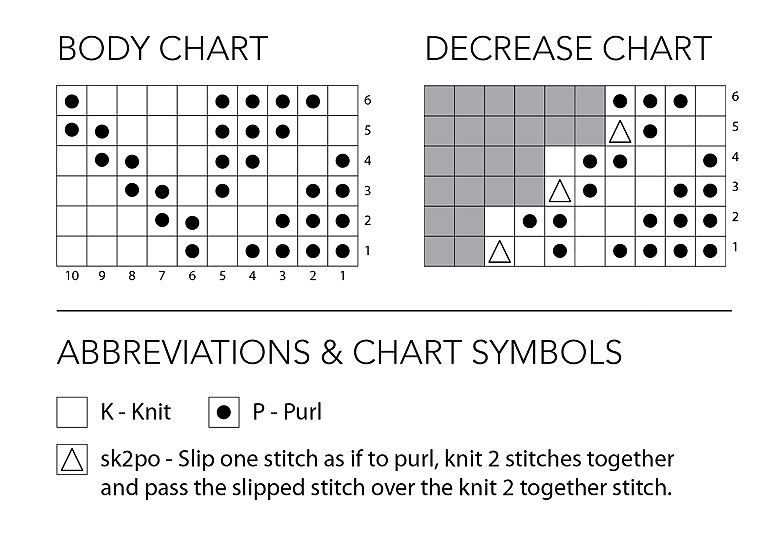 I’m not too good with reading instructions, can you advise if I’m getting it wrong with the instruction for decreasing – “…..complete 1 full repeat of the stitch pattern.” Does it mean to do the 6 rows of decrease twice? Please help! Thanks. I couldn’t wait for a reply so I went ahead to do the decrease pattern the second time and it didn’t look right. I had to un-knit. So, I found it out myself! I guess knitting logic comes slowly and if I stay with it, I should become a better knitter. Wow! Love the pattern. Anxious to knit it up. One problem. How do I make a copy? Feeling pretty silly that I can’t figure this out! Hi Kay! Thanks for asking, you’re not the only one! I’ve added a download link in the pattern, of you can just click here. Thank you SO MUCH for the print option! Had given up on pattern. So glad I checked again. Have the printed copy. Can’t wait to get started! Do you have a pattern for this on straight needles? Thank you very much for this wonderful pattern. Looking forward to making this in the coming weeks. Thanks for the one page pdf !!! Great pattern! I made this in purple and grey and it’s gorgeous. I was wondering if I could actually add another decrease row, as I found that there were too many stitches at the end, and it was difficult to tighten them properly. What do you think? What do the astericks mean please?